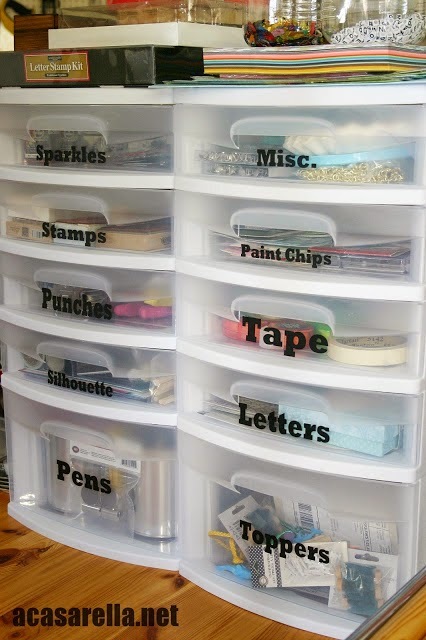 This is a tidy system that could be applied to all sorts of stationery, in addition to gift wrap. 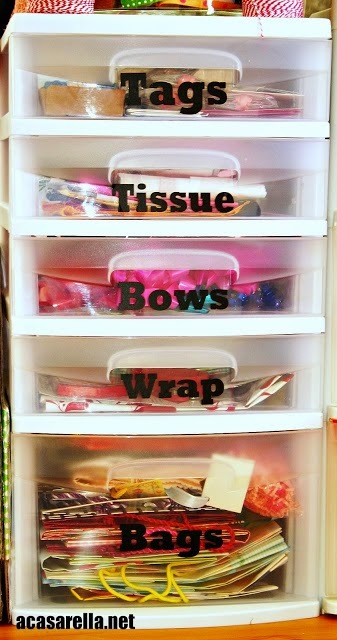 You can label the draws (so that everyone in your family knows where things belong) but the see-through draws are great for locating materials quickly. 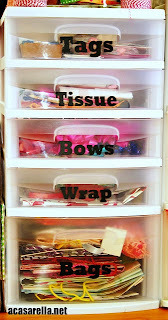 You can wrap a gift quickly and creatively when you can see exactly what materials you have to work with. 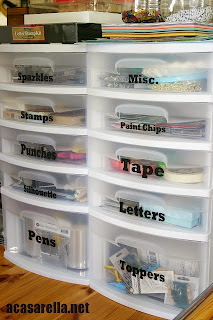 These draws can be easily sourced quite cheaply from stationery and discount stores such as Officeworks and The Reject Shop (in Australia).